Tax refund season has been called several things including, Christmas in March and the poor peoples lottery, among other things. Remember, “poor” is not just related to the amount of your income but is also a mindset. Several people are used to getting tax refunds of over $5,000 every year and go on shopping sprees to buy cars, furniture, expensive vacations, etc. Many also pay off the bills they racked up during the end of the previous year. Unfortunately, many of these same people believe that if they had more money, then they would have less problems. If they do not change their mindsets, then getting more money just means spending more money. That could leave them in the same financial situation or worse after they receive their annual tax refund. They could actually help their financial situations by considering some other options. One option would be to use a portion of their tax refund to start an emergency fund. $1,000 would be a good amount to have set aside in case the unexpected happens. They may not have the satisfaction of setting the money aside, but I guarantee that they will be glad they did when that emergency happens. Another option is to reduce some of their debt. 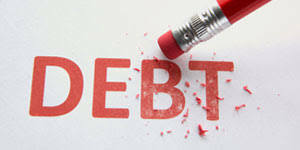 Debt reduction is a major goal for many people. Applying $1,000 – $2,000 to pay off or pay down some debt could put them in a good position to improve your credit score. It is also a good way to jumpstart their debt reduction plan. Sometimes it can be difficult to start reducing debt because the goal seems so big. If they use some of their tax refund to put a dent in their debt, then it might seem more attainable. If you want change, then you have to make changes. Otherwise, nothing changes if nothing changes. You have to ability to make change. If you are the recipient of a sizable tax refund every year, you can still spend some of that tax refund money. But you can also use a portion of it for your personal financial plan. Then you will truly hit the refund jackpot! All the best.